Grow. Discover. Dream. This vision statement, created by the College community when the school was founded, recognises Discovery College’s belief that students must be independent, critical and creative thinkers, equipped with the skills, attitudes and values to contribute positively in this complex world in which we live. At Discovery College we believe that powerful learning and teaching occurs under a shared spirit of respect, which dignifies and prizes our diversity of experiences and perspectives, reaches into our traditions as well as into the future, excites a passion for ongoing inquiry and strives to help all learners reach for enduring excellence. Our staff represent more than 20 nationalities, with teachers chosen from among the world’s best. The student population comprises more than 45 nationalities and almost as many mother tongues. The College uses English as the medium for teaching and learning, with a strong emphasis on the acquisition of Chinese (Putonghua) as a second language and the development of international-mindedness. Discovery College was established by the English Schools Foundation to serve the needs of the local and expatriate communities in Hong Kong. It is a full Years 1 to 13 school offering the International Baccalaureate (IB) Primary Years Programme (PYP) for Years 1-6, Middle Years Programme (MYP) for Years 7-11, and the Diploma Programme (DP) and Career-related Programme (CP) for Years 12-13. As a Private Independent School, Discovery College has no catchment area in its admission policy and students from all over Hong Kong can apply to study. The school community enjoys exceptional facilities on our state-of-the-art campus. 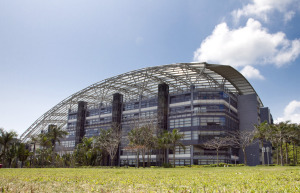 Discovery College is one of two Private Independent Schools (PIS) within ESF. For PIS campuses, the there is no recurrent annual grant being provided to the new school by the HKSAR Government, i.e. student places are not ‘sub-vented’ in the way that other ESF schools are. As a result, Discovery College is operated by ESF Educational Services Limited, a part of ESF. In addition to being an IB World School, Discovery College is also fully accredited by the Western Association of Colleges and Schools (WASC) and the Council of International Schools (CIS).